Vital Life Foundation Forum Sign-up - Vital Life Platform | Better Than Ever! 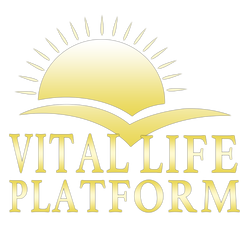 Join in on the fun with the Vital Life Platform online community forum ~ Today! Become a part of a growing community of lighthouse beings who are joyfully committed a lean, clean and serene, radiant, strong and vibrant, dynamic, abundant lifestyle. Share your progress with friends who will support and honor your choices and continue to encourage you to achieve HIGHER AND HIGHER levels of health, wealth and happiness on all levels. Your success is our success and our success is your success...let's share it all together! The purpose of the Vital Life Foundation Forum is to celebrate this moment and share the Miracles of our Lives.